Dr. Doom is at it again. In an article published Tuesday Nouriel Roubini, the noted ecnomist who correctly predicting the housing bubble and the 2008 recession before others, said the Euro Zone debt crisis solutions may yield a disorderly scenario, China's economy could have a hard landing, and the U.S. may see a double-dip recession by the end of 2012 or 2013 at the latest. Roubini said in an article published on the Financial Times Web site that the global problems could materialize, developing into a perfect storm that would involve the U.S. economy. By 2013 at the latest, but possibly already in 2012, a perfect storm of a double-dip recession in the U.S., a disorderly scenario in the euro zone and a hard landing in China could materialize, he wrote. Roubini wrote that political considerations in the Euro Zone could ultimately keep leaders from making the needed tough decisions, creating problems. It will become clear in 2012 that this game of 'kicking the can down the road' is a zero-sum game, Roubini wrote in Financial Times. 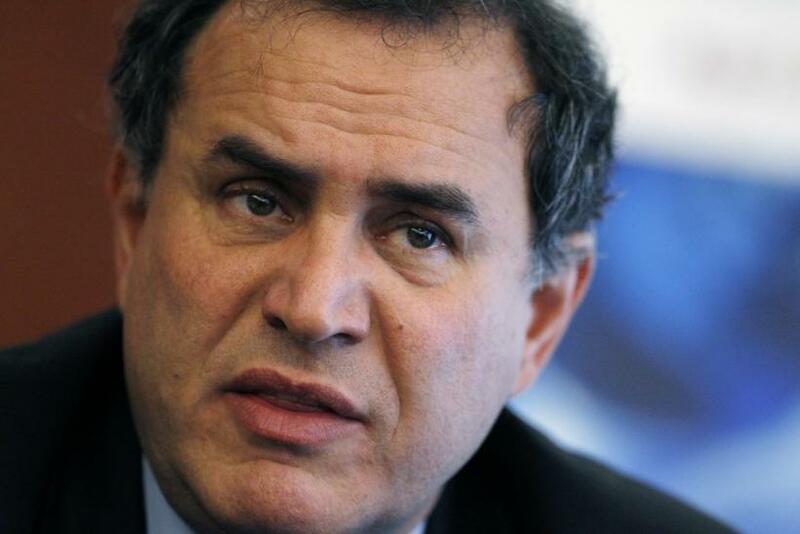 Roubini noted that measures required to restore growth including investment in infrastructure, education and even changes to the national energy policy were postponed in the recovery effort from the Great Recession of 2008, perhaps creating more problems in the future. He said China, the world's second largest economy which still reports notable economic growth, has persisted in its weak currency, to support its export and investment-led growth model where savings are too high and consumption too low. China, of course, has been suspected by some economists to be flirting wits own housing bubble. And as for the Euro Zone, Roubini wrote that currency tensions will only make the situation more difficult next year, increasing political pressure and conflict among member nations. In September, Roubini said U.S. may already be in a recession. The New York University professor, known in some circles as Dr. Doom, said the U.S. just wouldn't admit the nation is in a recession.